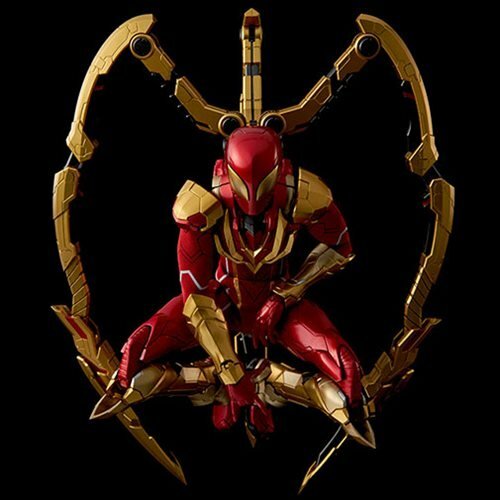 The comic version Iron Spider stands 11-inches tall! Features 3 movable arms and die-cast metal parts. 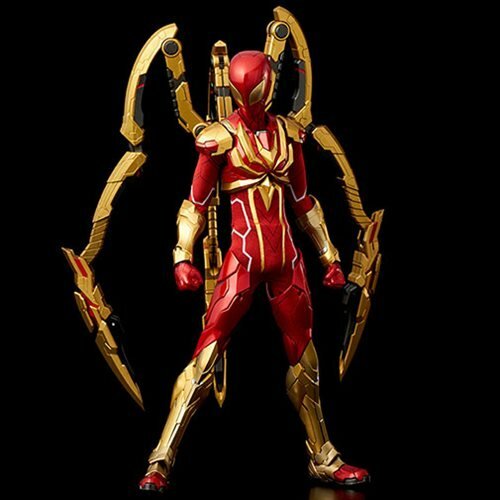 Check out his Tony Stark-ish metallic look! 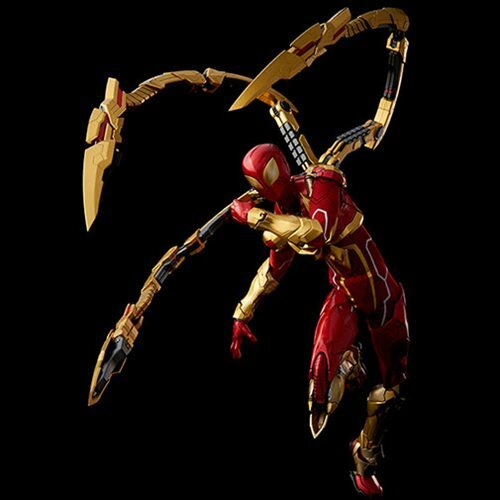 The 1:6 Scale Iron Spider joins Sentinel's popular Re:Edit series lineup! 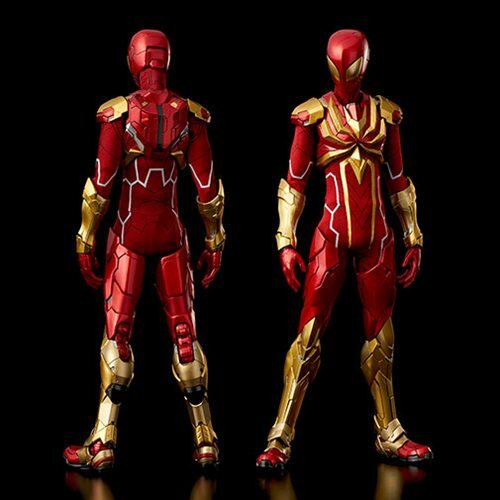 The comic version Iron Spider is a reinforced anti-bullet suit provided by Tony Stark. 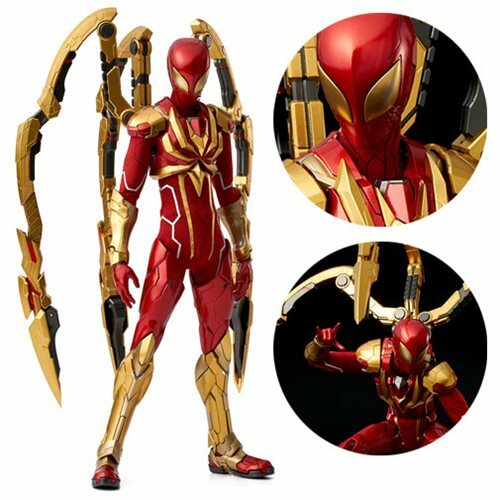 While still being Spider-Man, he has a metallic look similar to that of Iron Man and is arranged in the Re:Edit style, just like other figures of the same series. 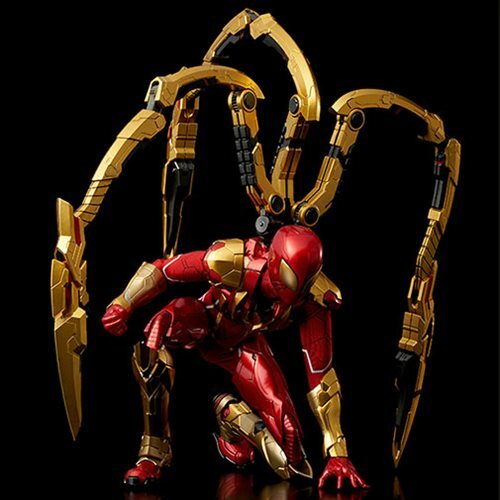 The 3 iconic arms are all movable, and part of Spidey's main body is made of die-cast metal. 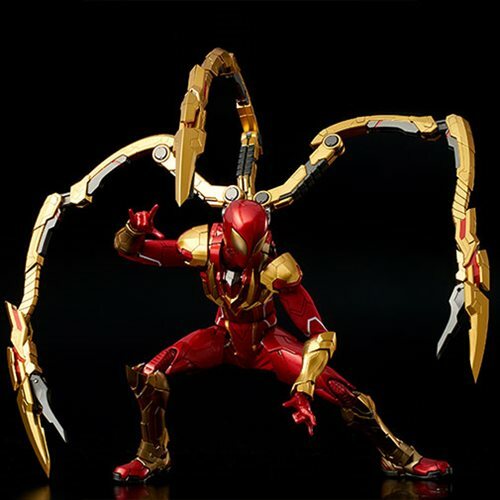 And this Marvel Comics Iron Spider 1:6 Scale Re:Edit Action Figure stands about 11-inches tall!